The basic jute bag is the simplest jute bag in our lineup, it's a basic square shape with no gusset running down the side of the bag, so it requires less stitching to produce. It is also unlaminated, most of our other jute bags have an internal laminate, the basic jute does not. The generous handle length allows it to be slung over your shoulder. Popular with shopping outlets, it's an economical option for groceries and general fashion purposes. 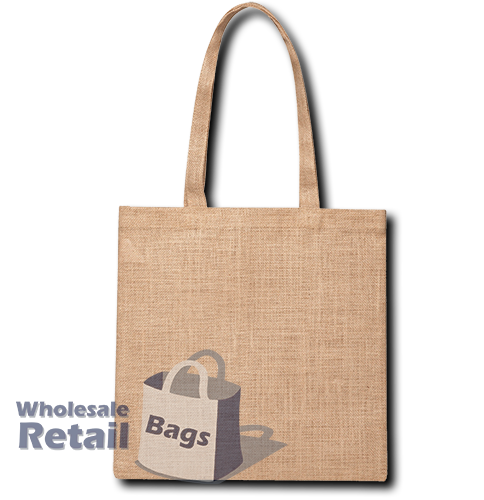 In other options available, the market jute bag is larger than the basic jute bag, and the other economical option is the fashion jute bag.